I had the pleasure of meeting and making a connection with Valerie Zimany and Daniel Bare, of Clemson University Ceramics, at the National Council on Education for the Ceramics Arts (NCECA) Annual Conference in March. 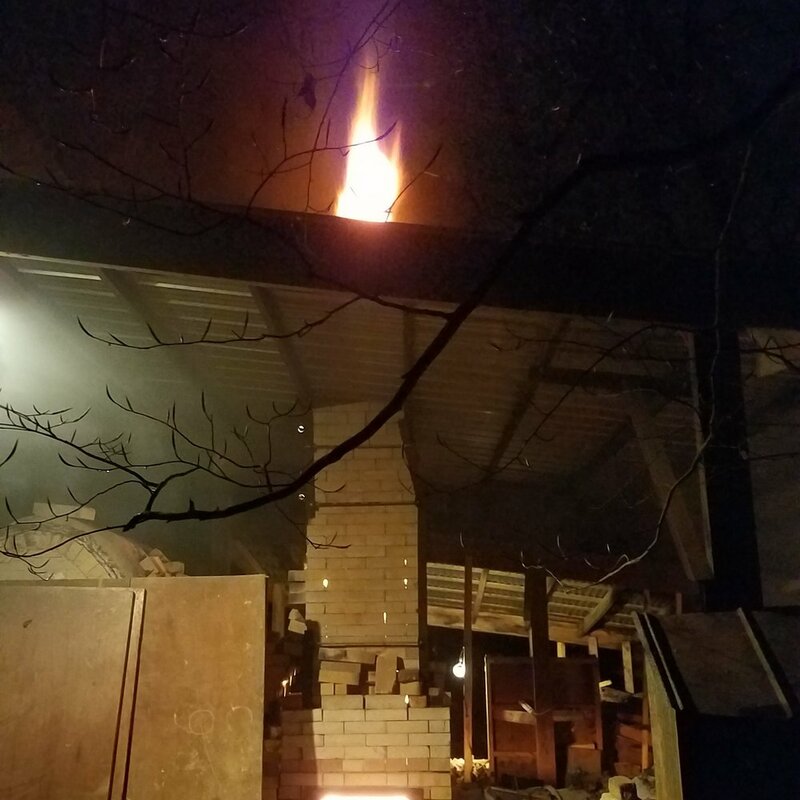 While talking with them and talking about my proximity to Clemson University and my love of wood firing, I was very excited when they invited me up to Clemson to take part in the firing of their anagama. The anagama at Clemson is located just off the main campus in a wonderful little, wooded area. I was able to stay for a couple days during the firing and had no problem, other than a little rain, hanging up my hammock to catch a bit of rest between shifts. The visiting anagama workshop leader was William Baker. Will makes some incredible work and gave a pretty good artist slide talk out at the anagama during a heavy rainstorm. Check out his work by clicking on his name and his online shop can be found HERE. This firing was nice and relaxing for me mainly because I was not in charge. I was able to be a contributing member of my shifts but had the pleasure of sitting back, splitting side stoke wood, and calling out stokes. Overall a fun firing. I had a wonderful time meeting and talking with students, professors, and others. I even had the pleasure of being asked by Connor Alwood, a Clemson graduate student, to trade some work from the firing. You can find Conor's Instagram by clicking on his name, and a nice little interview HERE. See photos from our trade below. 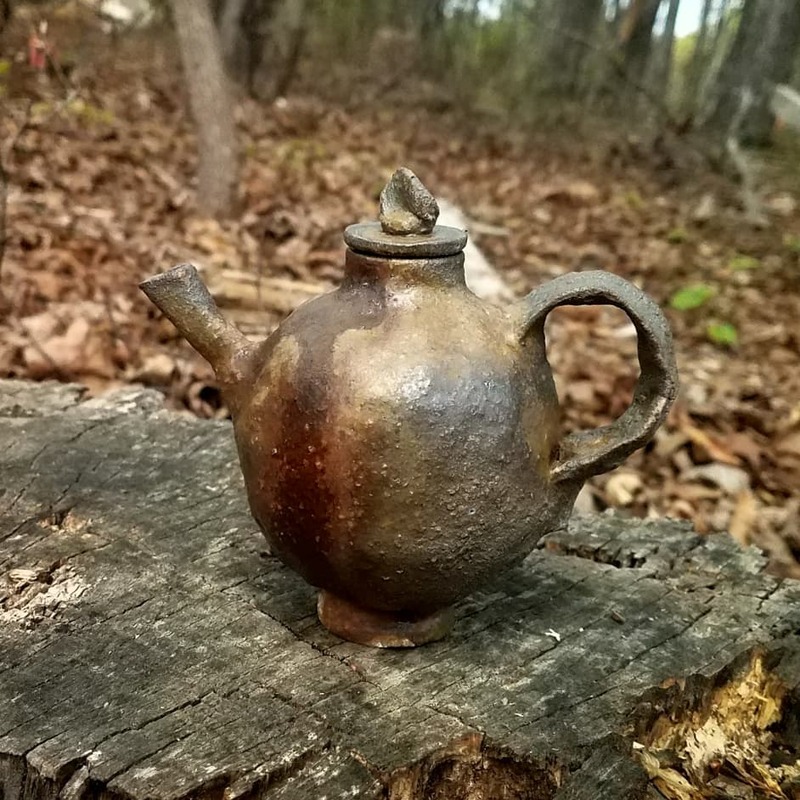 A super sweet, little, ewer made by Conor Alwood. 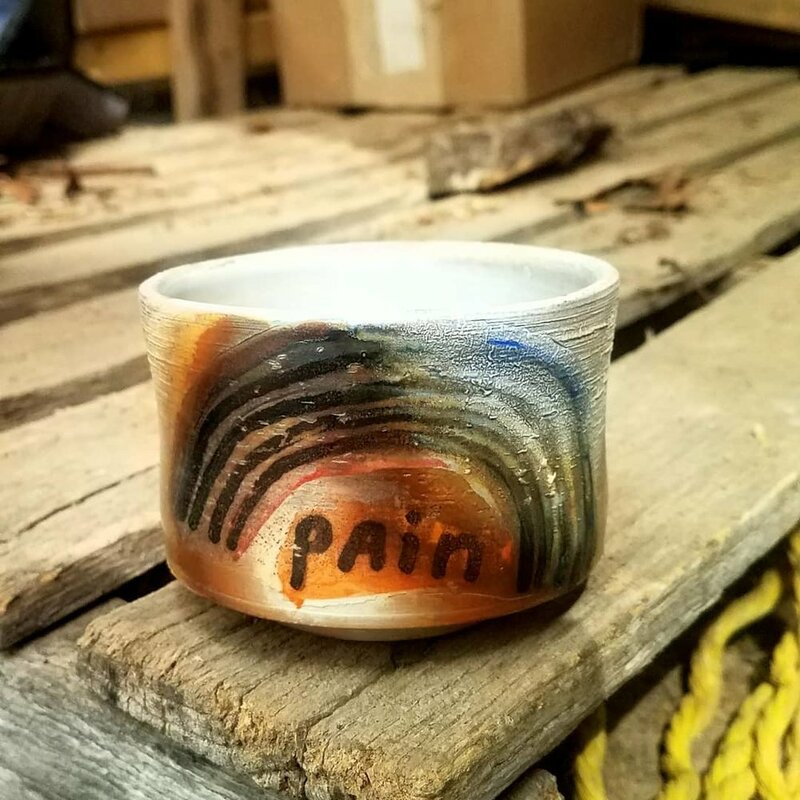 A painbow made it through the wood kiln and now lives with Conor Alwood.